Classic and Fun! 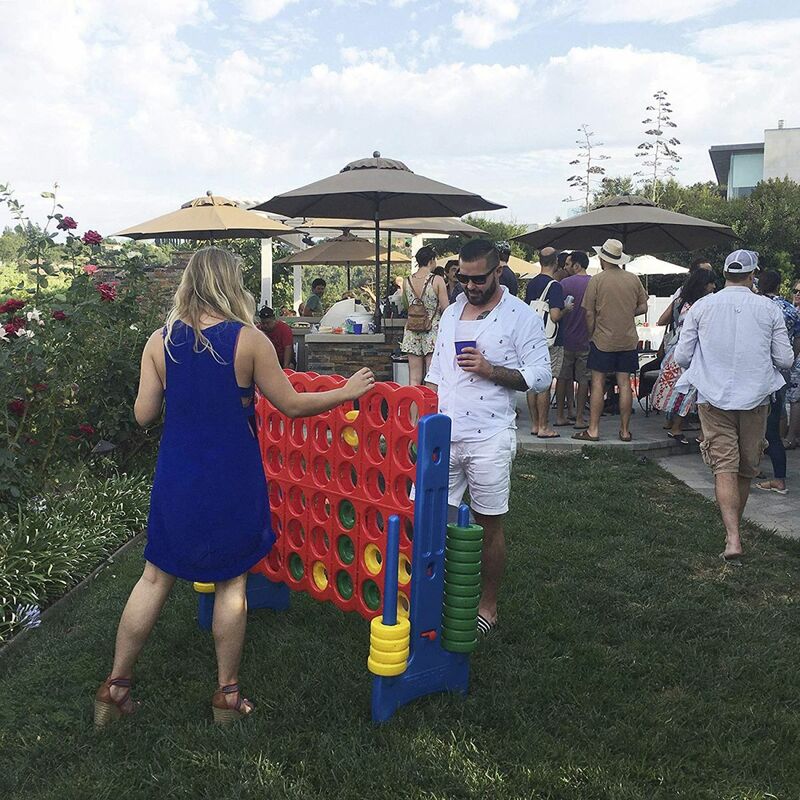 Whether you are playing with just 2 players or larger teams, this colorful Connect-4 game is super-sized to match the fun at your event! To win: Join the green or the yellow team to be the first to get 4 in a row! Teams alternate turns by placing one of their brightly colored rings into one of the easy-to-reach inserts at the top of a column. 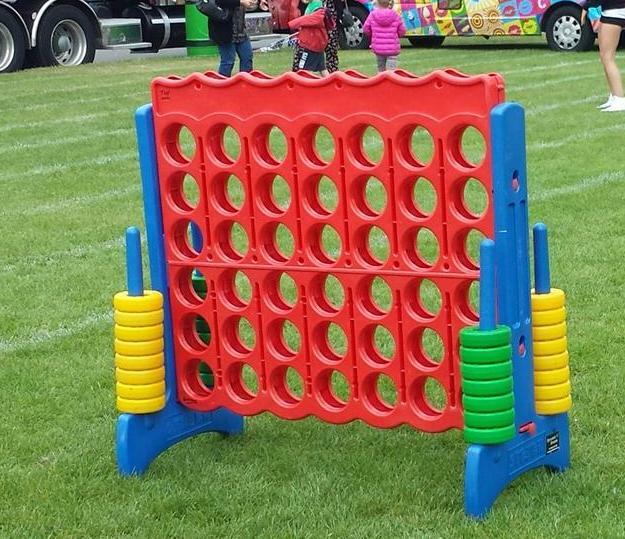 Each ring that fills the game board increases the excitement of the teams! 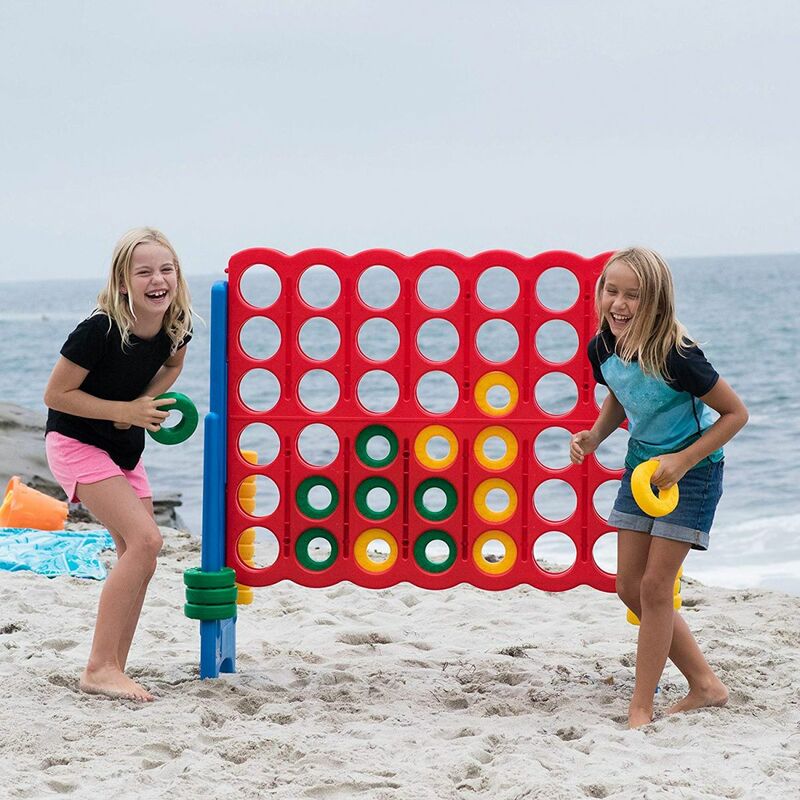 Connected to the game are convenient built-in ring holders for easy organization and distribution. Along the bottom of the game board is an easy-to-use game reset mechanism to allow for quick turn-around times inbetween competitions. 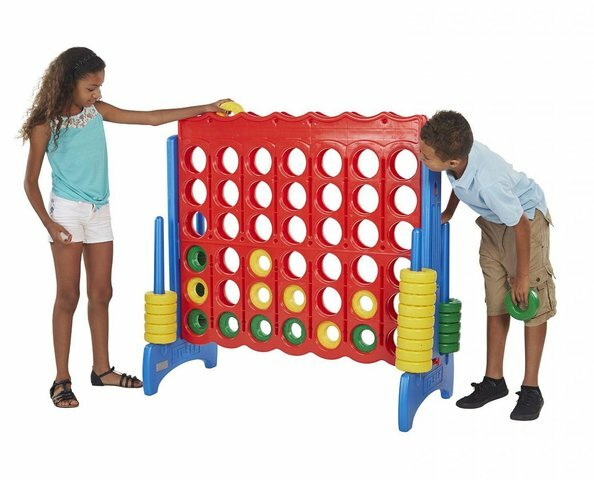 The Giant Connect 4 game is a a great party game for both kids and adults!